What is sinister preacher John Laputa doing on a remote Scottish shore in the moonlight hours? Young David Crawfurd and his friends are lucky to escape with their lives when they disturb his rituals. Years later David travels to Africa and meets the minister again, this time in company with the evil Henriques. Using his knowledge of Laputas background David investigates the mystery that surrounds Blaauwildebeestfontein, the Rooirand mountains and the legend of Prester John and discovers a plot, backed by an illicit diamond trade, using the native tribes to take control of Africa and destabilise the continent. Although Buchan has since been accused of political incorrectness he knew the country well and it is interesting to set his observations against the profile of Africa today-particularly in the content of the letter which closes the story. Irrespective of the political ramifications the story is very exciting and is considered one of Buchans’ best adventure yarns. 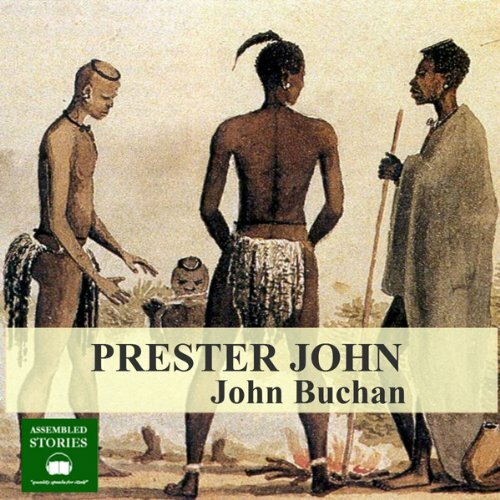 What made the experience of listening to Prester John the most enjoyable? Great story; great writing;great reading, with all the right accents. It's riddled with the racist and imperialist attitudes of the time - it was published in 1910. The Portugese particularly come in for a lot of stick, but the portrait of Prester John apprently inspired many African freedom fighters, and once you set the outdated views aside, it's one of the great adventure stories, up there, almost, with Treasure Island. A must read , An absolute ripping yarn of the old school. I know that some people might think that it is racist , but it is a book of it's time, read in this light and I think you find a story to keep you on the edge of your seat. Anachronistic, jingoism. Entirely unsuitable language for today's environment and truthfully not a patch on some of his other books.